Diamond Earthmovers also complete a range of Concrete Works. From footings to shed slabs, driveways to paths. There’s No job to big or small. If you’re looking for demolition services in Melbourne then contact us via the form on this page or call 0404 497 971. At Diamond Earthmovers, our team also provide a range of concreting services. From footings to shed slabs, driveways to paths. There’s no job too big or small. 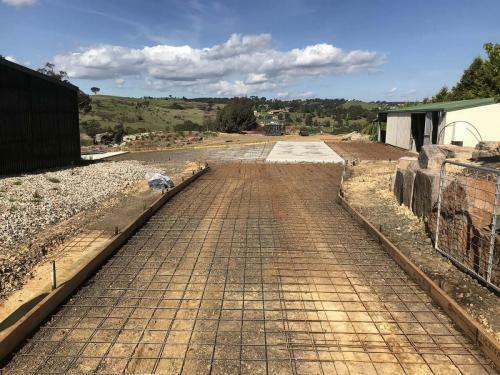 Whether you require concreting only or earthmoving as well, contact our team to discuss your project needs. If you require concreting works for your farm, remote property, commercial property or suburban home, our team have got you covered. All our services are available to clients in metropolitan Melbourne and rural areas in greater Victoria. Contact us to discuss your needs in regards to your rock retaining walls and landscaping. Get your free, no obligation quote on our concreting services by filling out the form below or get in contact with our friendly Melbourne team today. We are experts in concrete, excavation and earthmoving services for Melbourne’s domestic, commercial and industrial sectors. 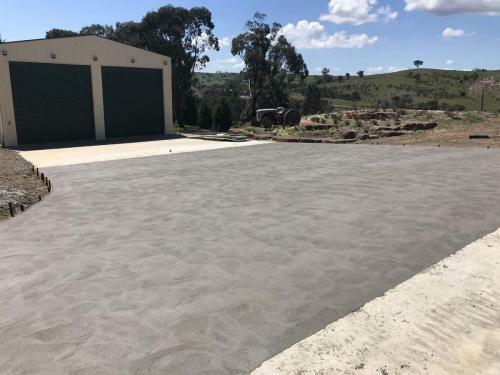 No matter what type of outdoor living space or property you own, you can always rely on us at Diamond Earthmovers Pty Ltd for a high level of customer service. We will always start you off with professional consultation and a free quote - for any of our services in Melbourne and rural Victoria. Throughout the duration of a project, our friendly team are always willing to answer questions and keep you updated throughout every stage of your project. Contact the Diamond Earthmovers team if you require any of the following services in addition to your concreting job and we will discuss your available options with you. 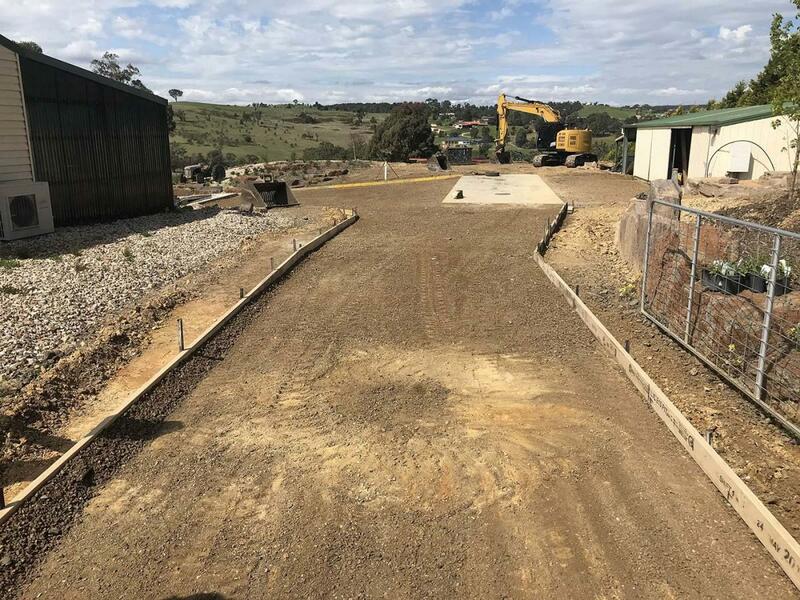 If you would like to discuss your situation and concreting needs in greater detail, contact the Melbourne experts at Diamond Earthmovers today. We can help you understand the processes necessary for your project, timing and costs involved and set you up with a free quotation so you know exactly what to expect. Dealing with concrete is ‘hard’ work. You’re going to need a team of experts that know how to handle it. This is where Diamond Earthmovers come in. As part of our extensive service, we offer a range of concrete works. 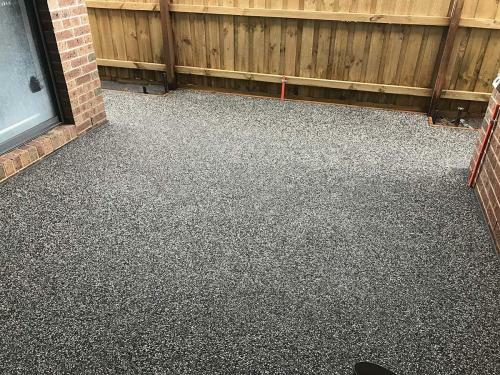 From footings to shed slabs, driveways to paths, if you need help with any concrete, we are the team for you. Contact us today on 0404 497 97 for more information. Diamond Earthmovers is now offering an exclusive new concrete works service. It doesn’t matter what you need from us in regards to figuring out your concrete needs, we can handle the work. With our years of experience, our precision with our work and our advanced machinery, we will take your project in our hands and deliver the results you want. That is the difference we can make with our concrete service. Our customers can expect us to provide the whole package when it comes to our concrete works. We will formulate a price and plan to ensure that your project goes along without a hitch! How Can We Help You With Your Concrete? If you would like more information on our concrete works, reach out and speak to our experts today. We will give you the complete package and help you with all your needs and requirements.